Emmanuel Macron, the French president, came under attack on Sunday for failing to prevent “yellow vest” protesters from wrecking Paris’s grandest avenue, the Champs-Elysées. The centrist president cut short a skiing break in the Pyrenees and flew back to Paris to chair an emergency security meeting, but critics said the resurgence of violence was predictable and he should never have left the capital. 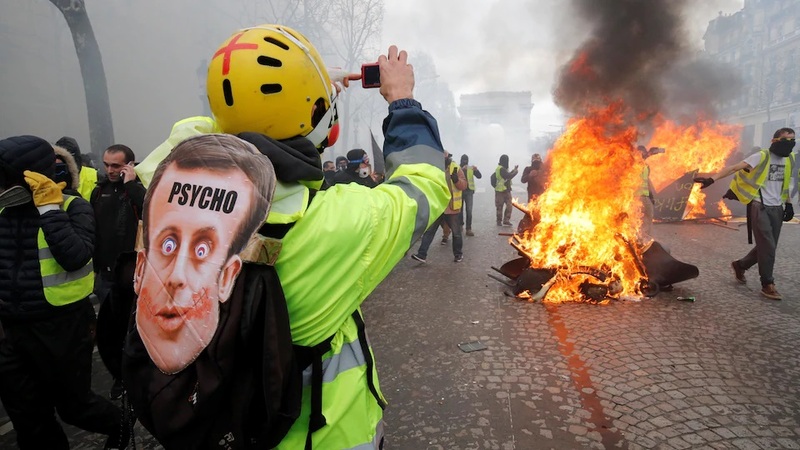 Demonstrators smashed nearly every shopfront on the Champs-Elysées, set fire to a bank and torched cars on the 18th consecutive Saturday of protests against Mr Macron’s business-friendly economic reforms.